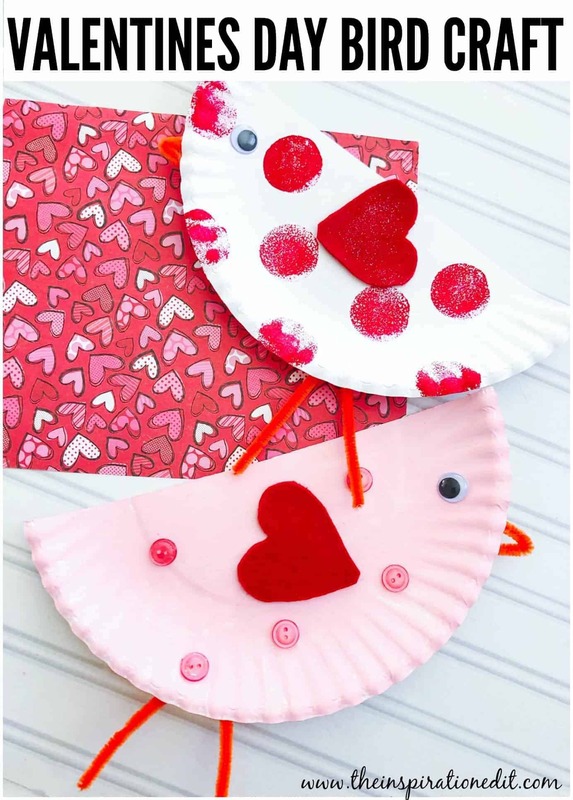 With Valentine’s Day literally right around the corner, this Paper Plate Valentines Craft Cute Bird craft is certain to be a blast! If I can be honest with you…I like crafting about as much as my kids. Seriously. It’s one of those things that I think anyone, young or young at heart, should do on a continuous basis. 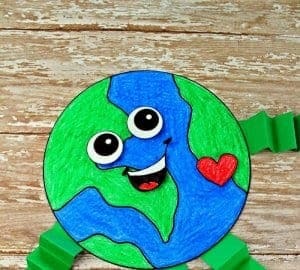 Not only is it fun, but making crafts is a great stress reliever as well! Plus, with all the crafting bins full of stuff that we have in our house, I was lucky enough to have all these needed items already at home! You possibly might too since some of them are pretty common! 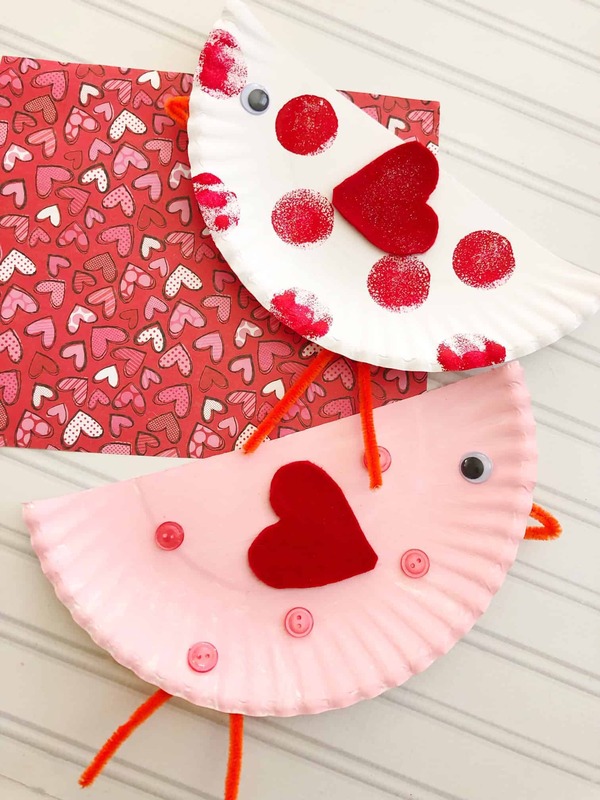 Have fun with this adorable Valentines craft! 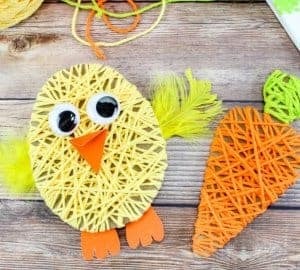 You won’t be able to stop smiling at your completed Paper Plate Bird! 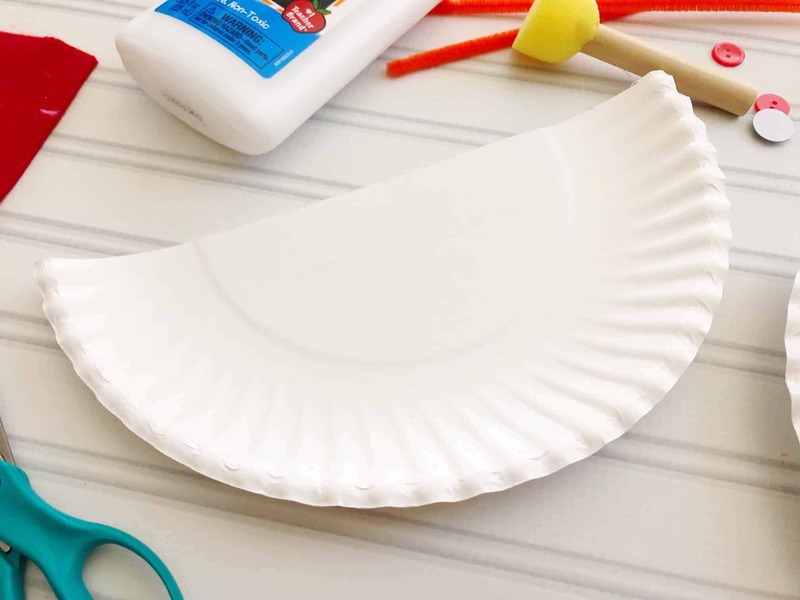 To make this paper plate craft, you’ll just need a few simple items. Cut each plate in half and lay out a piece of newspaper. 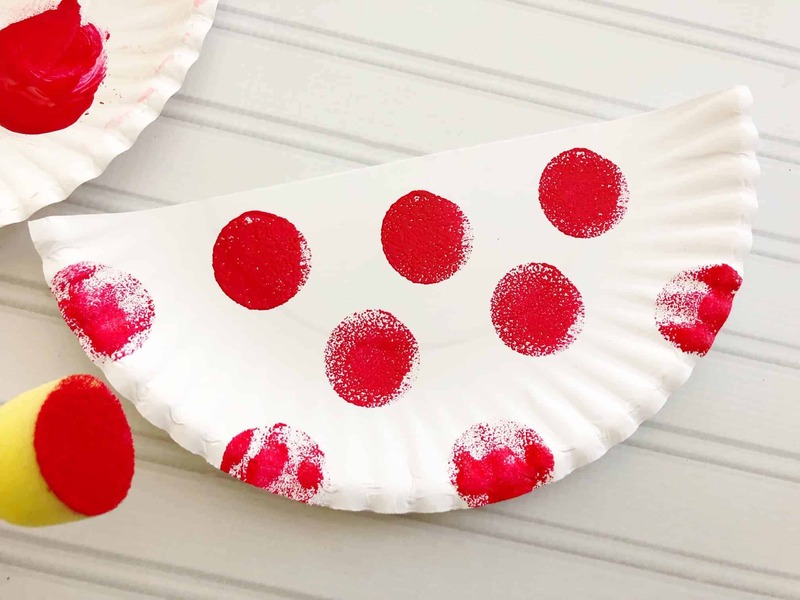 Squirt some pink and red paint on a clean paper plate and use it as your paint palette. 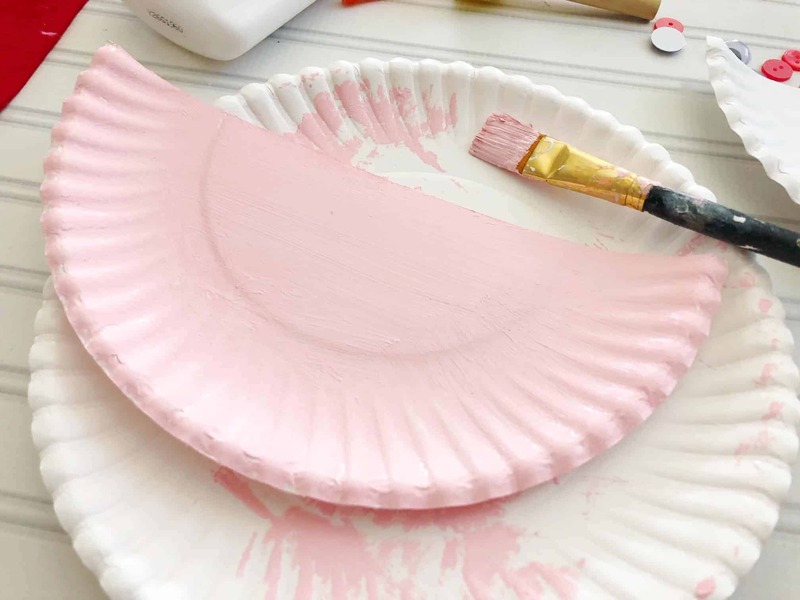 Dab the round sponge paintbrush into the red paint and press it onto one of the plate halves. Paint the other plate pink and let dry. 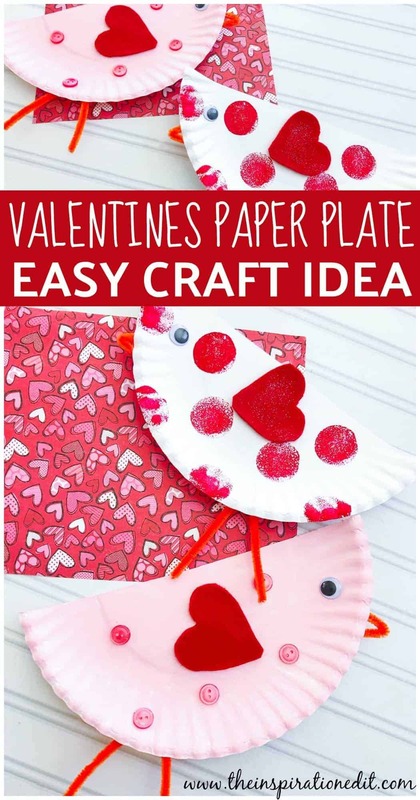 Turn the plates so the rounded sides are facing down, cut out 2.5-3” hearts from the felt and glue the hearts sideways on the plates. 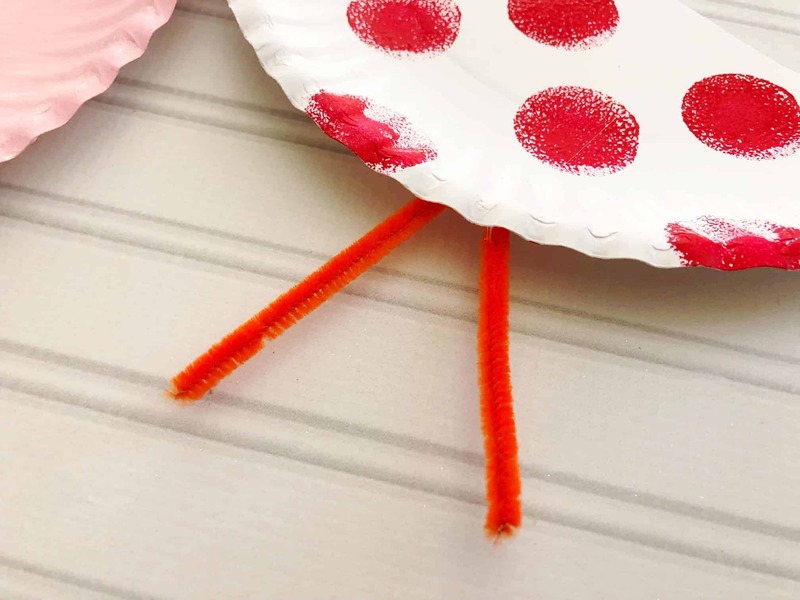 Cut a pipe cleaner in half, bend those pieces in half into the shape of an upside down “V” and glue to the back side of your plate for legs. Cut a couple 2” pieces of a pipe cleaner, bend in half and glue towards the top backside on the rounded side of the plate-like pictured for a beak. 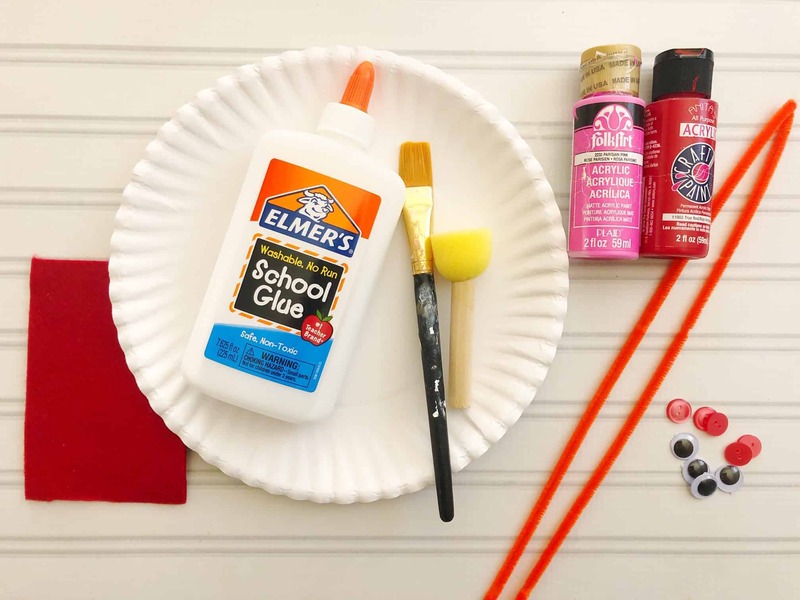 Glue a googly eye by the beak on the plate. Glue on buttons for decoration and let dry. 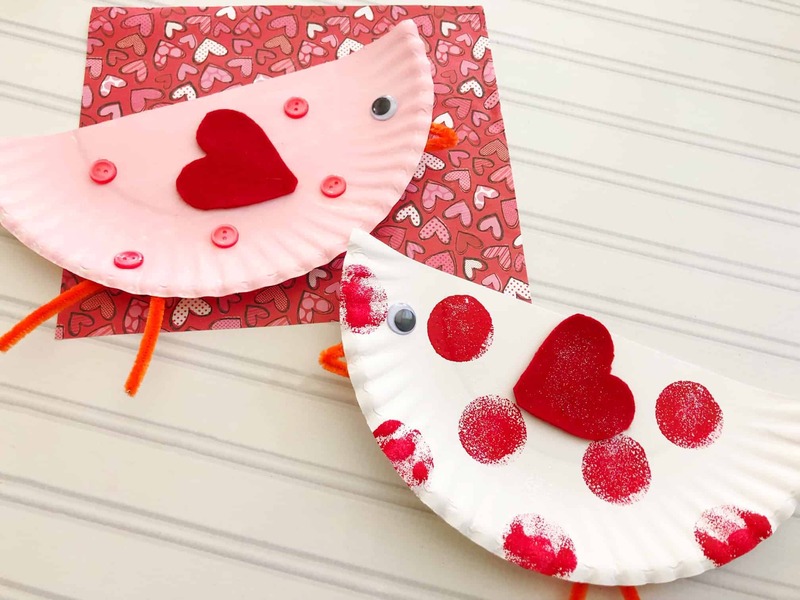 Can these Valentines crafts be any cuter? 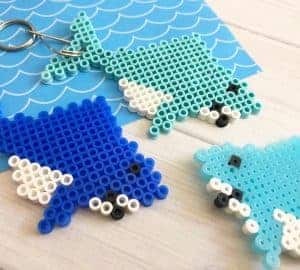 So simple, perfect for children of all ages!